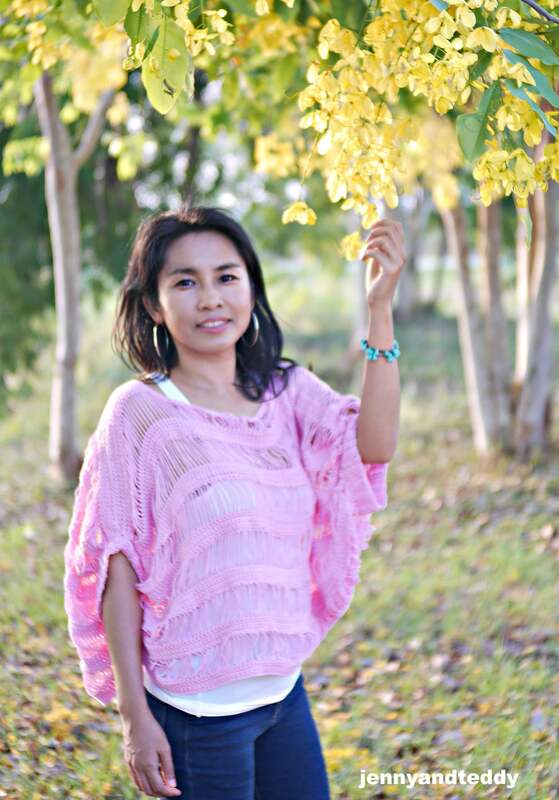 April is the hottest month in Thailand. 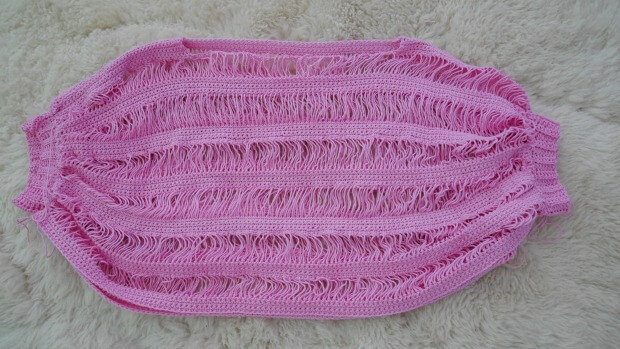 I was thinking to make a breezy airy and cool top or something That I could wear and stylish and would be perfect with this hot summer month. So the Sugar drop summer crochet top free pattern is here for you guys to enjoyed. 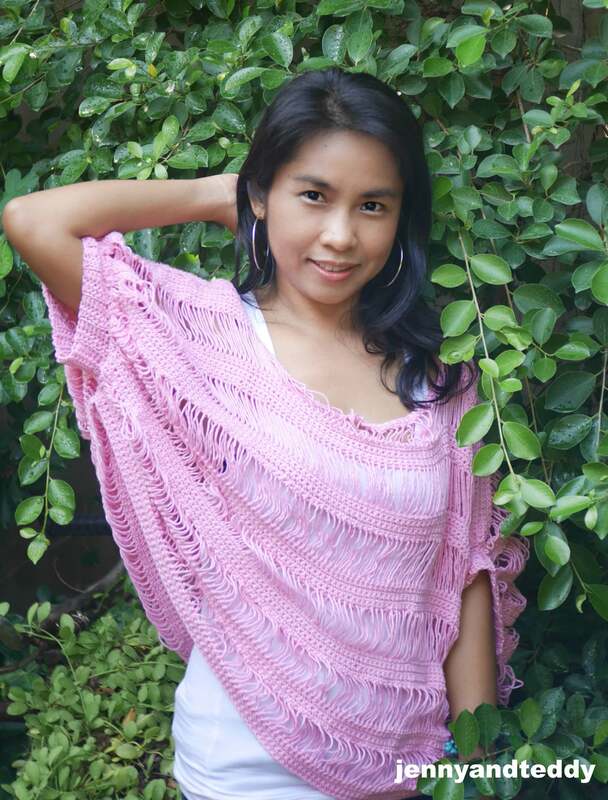 This top is basically made up from 2 rectangle use cotton yarn which is great for summer day and easy to customize the size with a combination of single crochet and drop stitch together. The result is amazing! 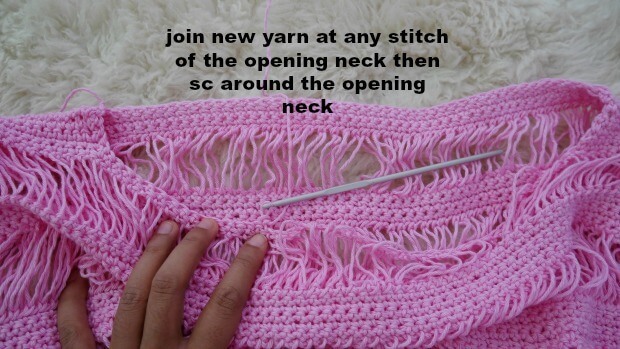 Talking about drop stitch if you are novice beginner don’t be scared that would be difficult , they are actually easy than you think very simple and straight forward. I first learn it from Jessica mamainastitch, she make the tutorial so simple that everyone can give it a go and think that oh man! they are so easy! 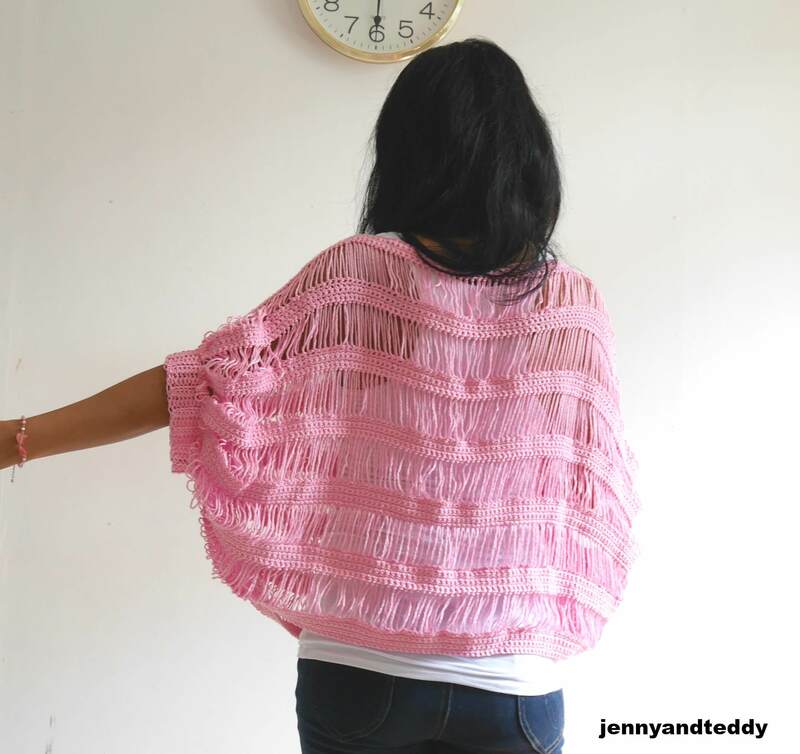 Have you see my light weight spring vest, spring time kimono cardigan and peek a boo summer top yet? They are great for this hot season. – I used Lion brand 24/7 cotton . I am using about 4-5 skein about 700-800 yard. yarn weight 4 medium. -cut a piece of cardboard 5 inch long 2 inch wide. 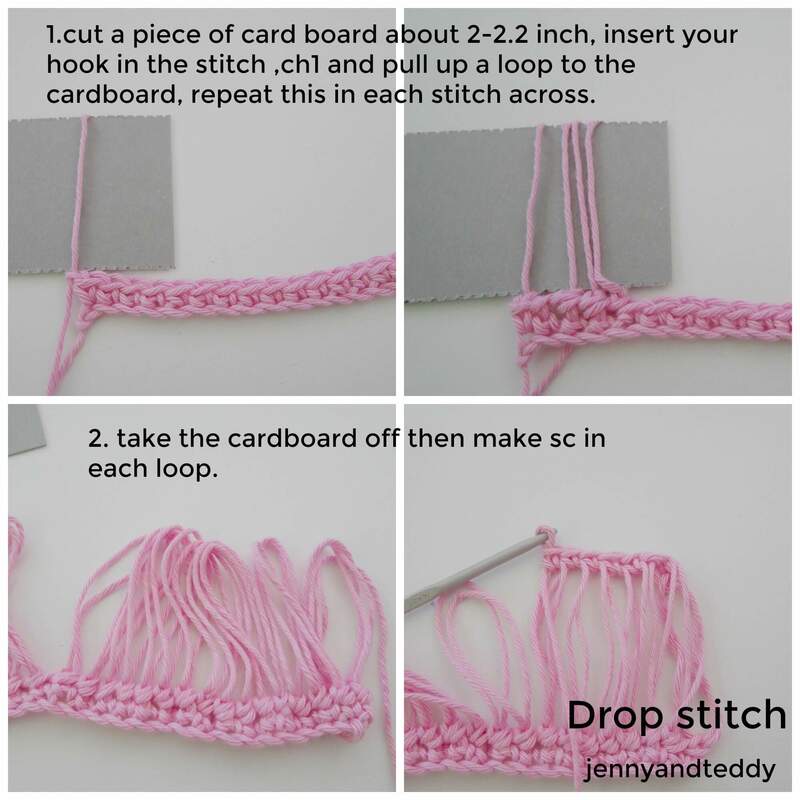 –Drop stitch – Jessica mamainastitch have easy photo and video tutorial for this pretty stitch. There is a basic skill level required to make. 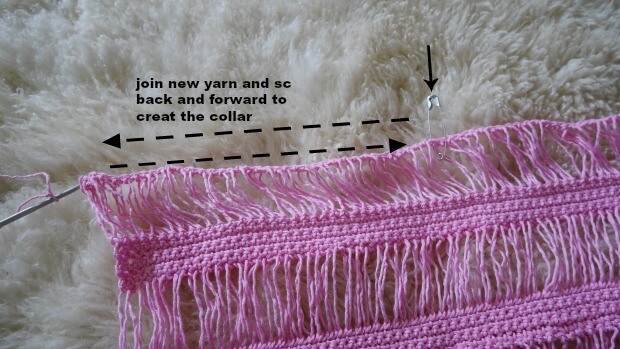 For the long: If you need to make it longer simply add more rows at the end. For the wide, if you want to make it bigger size: work in even number like 120, 130 , 140, 150 etc. I start this Sugar drop top with foundation chains of 120. Sugar drop summer top instruction. Start of by making a slip knot Then make 120 chains for size small to large ( with 3.5 mm hook foundation chain). We making back panel first. Row1. sc in the next chain from hook, then sc in each chain across until the end of the row, ch1 turn. Row2. sc in the next chain from hook, then sc in each chain across until the end of the row, ch1 turn. Row3. sc in the next chain from hook, then sc in each chain across until the end of the row, ch1 turn. Row4. sc in the next chain from hook, then sc in each chain across until the end of the row, ch1 turn. Row5. Begin drop stitch in each st across until the end of the row. Row6. sc in each loop of the drop stitch loop across until the end of the row, ch1, turn. Row7. sc in the next chain from hook, then sc in each chain across until the end of the row, ch1 turn. Row8. sc in the next chain from hook, then sc in each chain across until the end of the row, ch1 turn. Row9. sc in the next chain from hook, then sc in each chain across until the end of the row, ch1 turn. Row10. sc in the next chain from hook, then sc in each chain across until the end of the row, ch1 turn. Repeat row 5-10 until you got 6 row of drop stitch. On the last row we will making the shoulder. Place stitch marker in the middle for open neck. see photo below. Then sc back and forward for 5 row on the right side. And join new yarn on the left side the repeat the same process. 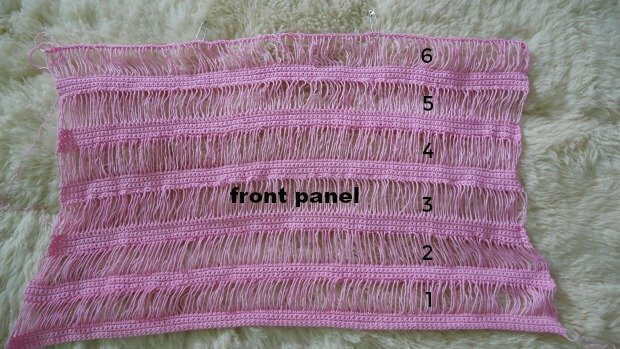 When you finished both side of shoulder the front piece will look like this. After you finished back panel and front panel then lay the them flatted see photo below. Then seam the top of the shoulders together with your favorite stitch method( I use whip stitch). Now it time to create the arm hole and attached the cuff. Crocheting the band piece separate from the the summer top body. 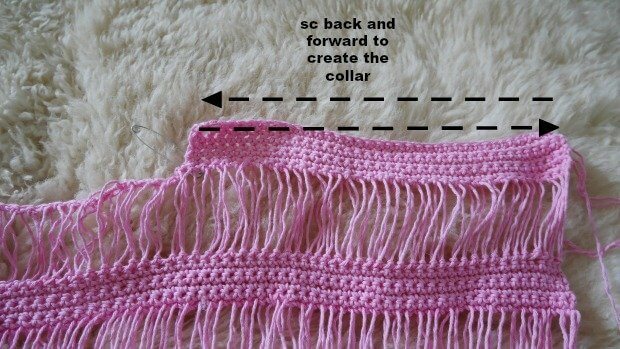 Start with making a slip knot and 9 chains and crochet row by row the back loop only until you get the length. Repeat round 2 until you get 13 inch long. 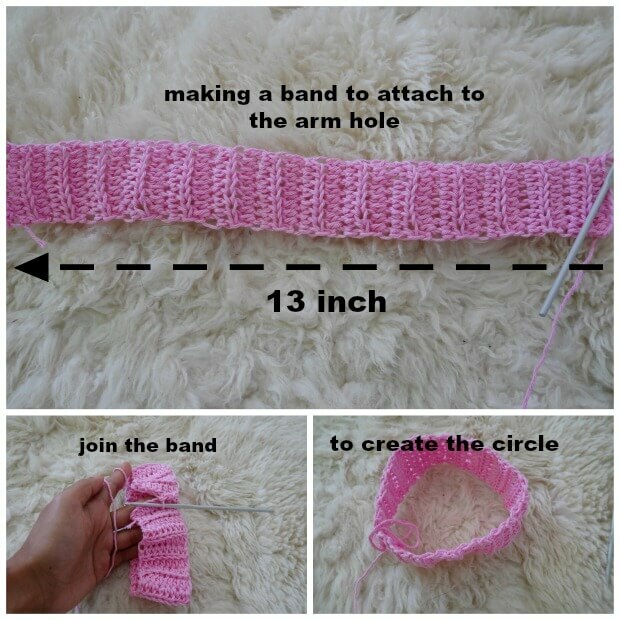 then join each end of the band with your favorite method to create the circle. After you got the cuff , it’s time to attach the cuff to the summer top body. Follow along the photo below. 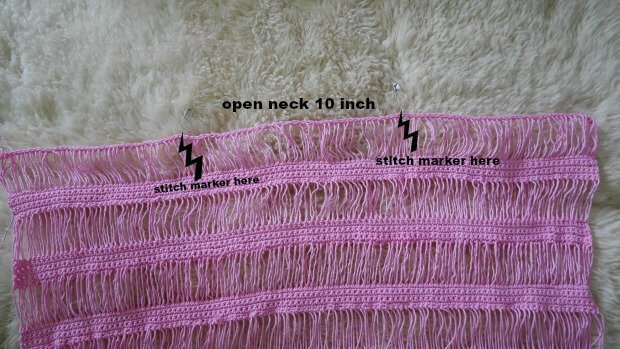 The last thing to do is make the opening neck pretty by joining yarn at any stitch of the open neck and make sc all around the neck. then fasten off. Now You have your new Sugar drop summer top. I love the patterns but I am currently having a problem with the lemon drop kimono I have done rows 1/2but when I do row 3 I end up very short on stitches could you check the pattern perhaps something is missing . Jenny, your patterns are great! Thank you so much for sharing them! I am always happy to see a new one on Pinterest ! Thanks so much Rachel just made my day.